It all went very well. Our new president was very impressed by Enrique. We were extremely pleased with Enrique Morones' outstanding presentation during Hispanic Heritage Month. Enrique Morones’ story is remarkable and needs to be told. He is a man of conscience who stands up to the injustice by simply being on the side of love and human dignity. Let us rejoice that an angel walks among us in this fight for truth, immigration reform and justice for all. Enrique Morones is the finest example of the Si Se Puede attitude in service to those who risk their lives in search of a better life. My father, Cesar Chavez, led heroic grape workers around Delano, California in the longest continuing farmworker strike in U.S. history in a profound statement of non-cooperation with a farm labor system that exploits and impoverishes mostly immigrant farm workers. Today, courageous members of the Border Angels are honoring the legacy of my father by making a powerful statement against inhumanity and oppression endured on our border by innocent immigrants. Since 1986, Enrique has dedicated his life to the prevention of thousands of migrant deaths that happen on the US-Mexican border. 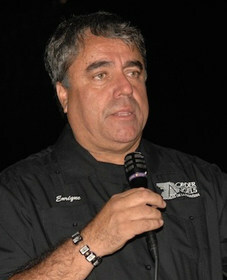 Founded by Enrique Morones in 1986, Border Angels is an all volunteer, non profit 501(c)(3) organisation. Border Angels advocates for human rights, humane immigration reform, and social justice with a special focus on those issues related on Latino issues on the US-Mexican border.